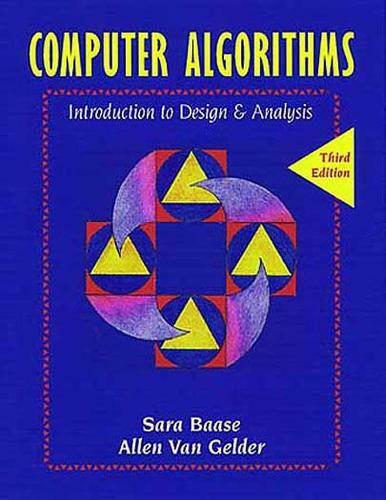 Drawing upon combined decades of teaching experience, Professors Sara Baase and Allen Van Gelder have extensively revised this best seller to make it the most current and accessible choice for any algorithms course. The new Third Edition features the addition of new topics and exercises and an increased emphasis on algorithm design techniques such as divide-and-conquer and greedy algorithms. It continues the tradition of solid mathematical analysis and clear writing style that made it so popular in previous editions.